We often say at USICH that to end homelessness nationally, we must end homelessness locally. To help communities optimize their current resources to accelerate progress towards ending Veteran homelessness, we have identified ten essential strategies for communities to increase leadership, collaboration and coordination among programs serving Veterans experiencing homelessness, and promote rapid access to permanent housing for all Veterans. Each strategy is accompanied by resources to help community leaders and stakeholders understand how to implement these strategies more effectively. Meanwhile, we have been working on the Federal level to assist communities as they work to reduce the number of Veterans experiencing homelessness and build the systems to prevent its recurrence. Below is a highlight of some of the Federal efforts aimed at helping communities develop and optimize their systems of connecting Veterans experiencing homelessness to permanent housing and the appropriate services and resources Veterans need to have a safe and stable place to call home. Federal agencies are encouraging and supporting communities to share HMIS and VA data and information to develop unduplicated by-name lists of Veterans experiencing homelessness. Federal agencies are encouraging grantees that conduct homelessness outreach to coordinate across funding streams and programs and to work together as a single outreach system that shares information on clients, coordinates on client contacts, conducts joint case conferencing, and focuses outreach on permanent housing connections. VA, HUD, and HHS are working to improve coordination between VA Medical Centers, Continuums of Care, and SAMHSA and HRSA grantees to ensure that there is clarity in how to make appropriate cross-referrals to connect Veterans to permanent housing as quickly as possible. VA is continually improving the response from its call center—1-877-4AID VET—(1-877-424-3838) to assist Veterans in need of housing assistance or experiencing homelessness. VA has adopted a universal screener within all of their programs to identify homelessness and housing status among any Veterans encountered across all of VA programs and make referrals to homeless assistance. VA has also enabled Supportive Services for Veteran Families grantees to use some of their resources for homelessness prevention. Efforts are also underway to improve the targeting of prevention assistance to prioritize those Veteran households who are at greatest risk of homelessness. DoD and VA are working to ensure that the housing needs and homelessness risk is assessed for all transitioning service members and that all housing needs are met in this transition to the community. 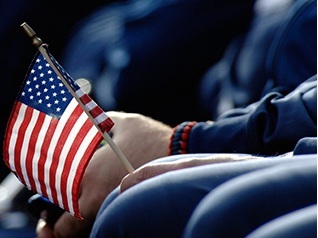 Federal agencies are encouraging transitional housing programs to reduce barriers to entry and connect Veterans experiencing homelessness to permanent housing as quickly as possible. The Administration has reached out to some of the largest providers of emergency shelter and crisis services to ask them to help ensure that Veterans have access to shelter, to identify Veterans experiencing homelessness and make connections to permanent housing. HUD and VA are rapidly deploying and working with local partners to implement, monitor, and improve the performance of programs targeted to Veterans experiencing homelessness including HUD-VASH, SSVF, and Grant and Per Diem programs. In 2015 alone, HUD and VA are deploying an additional 10,000 HUD-VASH vouchers and VA will have deployed approximately $400 million in SSVF grant resources. Through the 25 Cities effort and HUD’s technical assistance, VA and HUD are supporting the development of coordinated entry/assessment systems that streamline access to housing and services and match individuals and households to the most appropriate level and type of assistance. Federal agencies are supporting the full adoption of Housing First to ensure that barriers to housing entry are removed and that all programs are focused on helping Veterans enter permanent housing as quickly as possible. DOL and VA are working to improve connections to employment for Veterans who have received homeless assistance to support their ongoing ability to afford and maintain housing. These are just a few examples of the actions the Federal government is taking to help communities as they make a final push to the goal and build the enduring systems for preventing and ending homelessness. We are continually looking for additional ways that we can support this important work, and welcome thoughts and ideas from communities. By optimizing our efforts to ensure that every Veteran is identified, assessed, and referred to the appropriate housing and support services, communities will be able to achieve the goal of ending and preventing Veteran homelessness in 2015.